Ardent followers of the plectrum may sneer, but we salute this brave new form of picking. Plectrums vary in shape, size and material, but it's rare that we see a whole new approach to the art of picking. 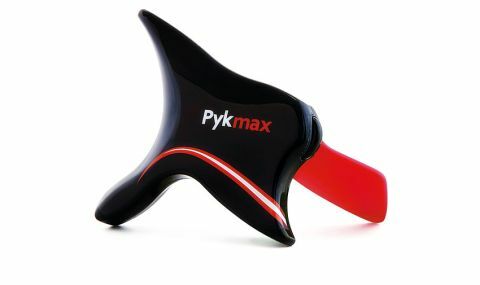 Pykmax is a trigger-shaped design that's the result of years of planning and engineering. "The idea is that you concentrate less on gripping the pick, and more on your actual playing"
Aimed to fit perfectly in your hand, the idea is that you concentrate less on gripping the pick, and more on your actual playing. It's available in three gauges (0.60mm, 0.88mm and 1.00mm), and although it takes a bit of getting used to, you'll soon notice just how comfortable Pykmax is to play with, especially for strum workouts.